Canary Wharf has progressed a long way since the first tenants moved there in August 1991. 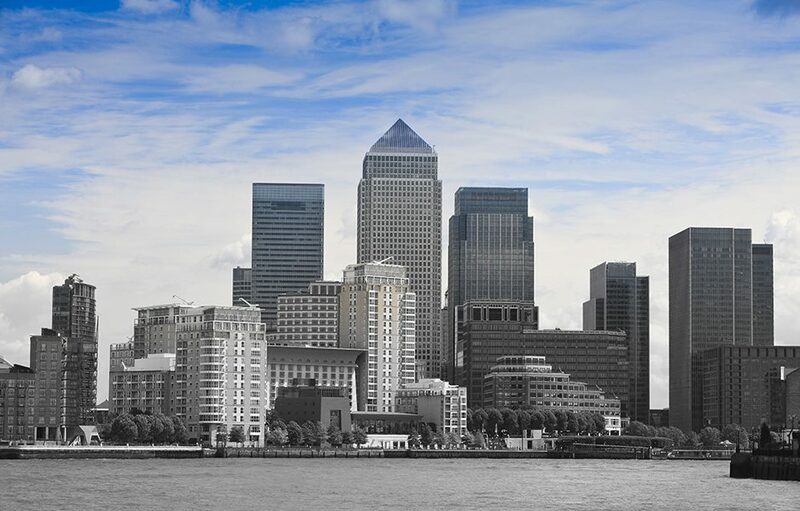 90,000 people now work there; arriving via car, Dockland Light Railway, on the Jubilee Line, or even by boat; which although an unusual way to commute is perhaps not so surprising as Canary Wharf is situated on the Isle of Dogs and surrounded by water on three sides. Commuters and sightseers travelling by boat arrive at Canary Wharf via Thames Clippers which run a ferry service approximately every 10 minutes during peak hours. These provide a valuable means of transport but also result in a heavy footfall on the floating pontoon – the link between the clippers and dry land. The pontoon clearly needs to be both waterproof and able to withstand heavy traffic and by 2010 several years of wet conditions and millions of passers by had meant that the pontoon was suffering water damage and the tarmacadam screed was breaking away causing possible trip hazards. A combination of Ronacrete products were specified to construct a new surface to the pontoon. Working closely with the main contractors and engineers Ronacrete compiled a specific material application to provide strength and durability to the surface. After removing the failed tarmac screed and prepping the surface, the metal was primed with an epoxy primer, blinded with aggregate to provide a key, primed with a Ronafix cement primer coat and a polymer modified Ronafix Mix G bonded screed then laid. After curing it was coated with pigmented RonaDeck Resin Bonded Seal Coat UV. Just hours later it was fixed and ready to receive the feet of the many thousands of travellers.